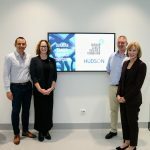 Why did you choose Hudson Institute and your research group? 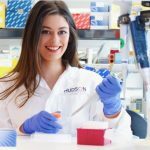 As I completed my undergraduate degree at Monash University in Gippsland, I felt the need to move to a new institute to take advantage of the wide range of opportunities. I chose the Hudson Institute due to its cross-disciplinary research themes and access to state-of-the-art equipment. Hudson Institute allows for collaboration with great researchers, and it has an amazing support network for students. I completed my Honours degree in 2015 at the Hudson Institute with no intention of completing a PhD, but by the end of Honours, I was inspired by all of the outstanding science and passionate researchers. What is your research about and what do you hope to achieve? My research focuses on re-activating the immune system to help the body fight ovarian cancer. Ovarian cancer is the most lethal gynaecological cancer, and this is partially because when a patient's disease recurs, it is resistant to current therapies. Ovarian cancer is quite an immunogenic tumour, meaning the immune system can respond to it. However, in late stage disease, the cancer can become immunosuppressed, meaning the immune system can no longer respond. This is due to an array of immunosuppressive proteins, one of which is dipeptidyl peptidase-4 (DPP4). My PhD focuses on inhibiting DPP4 with the clinically approved inhibitor, sitagliptin, to reactivate the immune system. I am using this inhibitor in conjunction with chemotherapy in order to improve current therapies. I hope to achieve a clinically relevant regime for clinical trials so that ultimately women with ovarian cancer have a better chance of survival. What opportunities have you had at Hudson Institute? Since beginning my PhD, I have been first author on two publications and corresponding author on another, and I am currently working on two additional publications. I have presented at several conferences, including the Lorne Conference on Protein Structure and Function, ComBio 2017 and Alfred Health Week; at which I received the '2018 MCCC Poster Prize for Best Poster in Cancer Research'. I am planning on attending two more conferences in 2018, which gives me the opportunity to meet with well-established researchers in my field, and the opportunity to form collaborations. 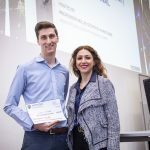 I was also the CCS 3 minute thesis runner-up in 2017, and winner in 2018. In addition to my research, I have also demonstrated in several biochemistry units at Monash University, and I was a mentor for Year 10 students at the 2018 Day of Immunology. The opportunities for students at the Hudson Institute are endless.